Invasive plants like cheatgrass have huge and costly effects on ecosystems. 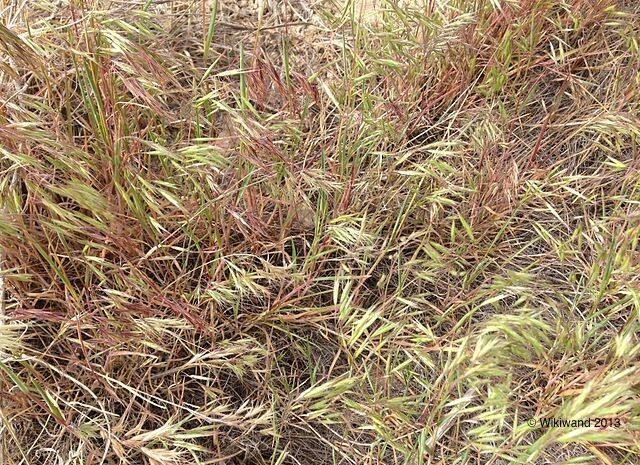 Restoring native plants to areas invaded by cheatgrass is challenging, and one explanation for poor seedling establishment is the absence of beneficial soil microbes. Ecoss is testing the idea that restoring microbial communities promotes ecosystem recovery and the re-establishment of native plants. – characterize the microbial community composition and function associated with roots of sagebrush (Artemisia tridentata), squirreltail (Elymus elymoides), and cheatgrass (Bromus tectorum) in pristine and cheatgrass-invaded sagebrush habitat across a wide geographical region (DOD locations). – test whether restoring the rhizosphere community and functions of sagebrush and squirreltail seedlings in cheatgrass-invaded areas improves its establishment, growth, and survival. This research is being conducted by Paul Dijkstra.